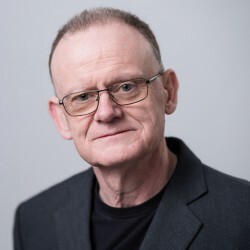 Over the years writers from Suetonius onwards have created ruts in the road by focusing on a biographical approach to the history of Ancient Rome. 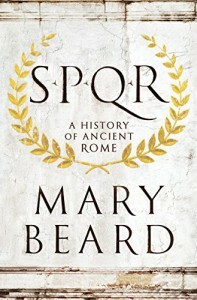 Mary Beard prefers to avoid those ruts, concentrating instead on the idea of Rome, and the many ways of defining oneself as Roman, as evinced in the everyday lives and pre-occupations both of the ruling classes and of those who were ruled, including the very poorest and the slaves. She is particularly interesting when examining what foundation myths tell us about the mind-set of Romans, how they projected their anxieties and identities backward into the past and how those identities were changed by the processes of empire. Of course Beard cannot avoid the temptations of biography altogether. This is the history of Rome after all and we are dealing with the likes of Nero. However, one of the more intriguing conclusions she comes to is that the empire created the emperors as much as vice versa. It's a development that begins with Pompey who could arguably be described as the first emperor, and who was defined by territorial acquisition and the power and wealth it provided. The process was formalised in the life and legacy of Augustus who was transformed into a model of imperial identity to which his successors were obliged to conform for the next millennium. Beard's main argument, however, is that what made Rome unique in the Ancient World was not that its rulers were more cruel or excessive than those of other people, or that its people more ingenious, or even that its soldiers were more ruthless, but the fact that from very early on its rulers untethered the concept of being Roman from its geographical limitations. You could be a Roman and a Greek, even a Roman and a Briton. In an age of identity politics, this doesn't sound so startling but more than two thousand years ago it was a radical development that made possible the construction of an empire which assimilated local customs, incorporated many different languages, and in which many different gods were worshipped - at least until the appearance of Christianity which refused to co-exist alongside other religions and ended up assimilating the Roman empire itself.